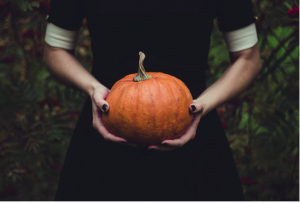 You’re making healthy choices and planning a clean Halloween this year, but it can be a little challenging to celebrate the season without the potential for relapse. To give you the extra boost on celebrating now and into the holiday season, here’s how you can navigate Halloween and stay sober. You may not be sure how you are going to have a sober Halloween and still have a great time. According to some experts, having a plan in place is your best defense against relapse. You will also ensure you have an awesome Halloween. Set time limits – By limiting the amount of time you’re at a gathering you set yourself up for success. Drop in for an hour, be sure to say hello to the people you need to see, then get out. Practice makes perfect – Before you ever leave the house, literally practice what you will say when turning people down for drinks or a hit. Write a few scripted lines for yourself if you need it. Buddy up – Make plans with a friend who supports your sobriety. If you can’t have that person with you at the party, check in routinely via text or video messaging. Next best thing to a buddy – According to the experts at US News and World Report, there are a number of apps available for free or of minimal cost that can help you through triggers and provide motivation. Carry a drink – If you keep a drink in your hand, people are less inclined to offer you one. You can even select something that looks like a cocktail. A little color and fizz can keep tempters at bay. Grab a bite – Having your hands full can keep awkward conversations from developing, since carrying a plate and utensils makes it hard to juggle a beverage. Pretend you’re drinking – If it makes you more comfortable, pretend you’ve had a few. Get a little loud and tell funny stories. Make a list – Put together a list of reasons why you are choosing to stay sober. Pull it out and read it if you feel tempted. Remember your lines – Refer to the scripted lines you practiced before the party. Just say no – Own it and put it out there. You don’t owe anyone an explanation, but if you need an excuse, say you have to get up early or you’re doing a cleanse. Spooky events – Head to some haunted houses, hayrides or tours. You could even plan a vacation during Halloween to places with a creepy history. Consider visiting the locations of the Salem witch trials or tour old battlegrounds. Slumber party – Plan spooky movies, pizza, popcorn and pajamas. Trick-or-Treat – Put on a great costume and hand out candy to kids. Volunteer – Find out where needs are in your community and do something fulfilling. You can even help at a fundraiser or in the local hospital. The key to your sober Halloween is making good plans and celebrating with some tools in place. If you want to attend a party, take a friend, bring your own beverage, and plan for a way out when things get tough. Or consider doing something entirely different for the holiday. With these great guidelines, you’ll stay sober and have an awesome Halloween celebration!